AirPcap Tx is the first open, affordable, and easy-to-deploy WLAN (802.11b/g) packet capture and transmission solution for the Windows platform. AirPcap Tx retains all of the functionality of AirPcap Classic and, additionally, supports packet injection. AirPcap Tx, like AirPcap Classic, enables troubleshooting tools like Wireshark to provide information about wireless protocols and radio signals. AirPcap Tx gives you the power to capture and analyze low-level 802.11b/g wireless traffic, including control, management, and data frames on your Windows workstation or laptop. Per packet information is also available, such as signal strength, CPU-based timestamps (in microseconds), and receive rate. It also lets you send any of these frame types over the air. Transmit Raw 802.11 Frames on Your Network. 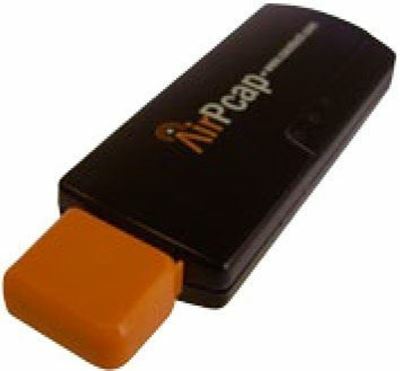 AirPcap Tx (and AirPcap Ex) has the ability to inject raw 802.11 frames into your wireless network which makes them an invaluable aid in assessing the security of your wireless network. AirPcap Tx (and AirPcap Ex) can inject any kind of frame, including control, management, and data frames. These frames can be transmitted at any allowable rate depending upon your adapter. An application, called AirPcapReplay, is included in the AirPcap Software Distribution. The purpose of this application, as the name suggests, is to replay 802.11 network traffic that is contained in a trace file. In addition to the replay feature, AirPcapReplay also allows the user to edit individual packets using a built-in hex editor. Unlike passive reception, there are restrictions on the transmission frequencies/channels imposed by various countries. While there are no channel restrictions for monitoring 802.11 traffic, AirPcap Tx (and AirPcap Ex) will allow transmission on only those channels that are permitted according to the ship-to country.